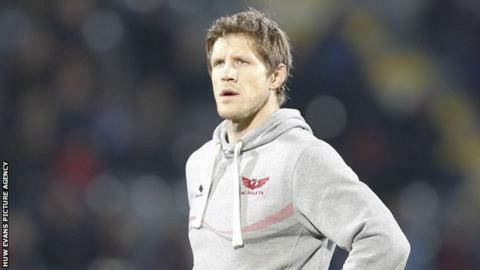 Scarlets head coach Simon Easterby has called for an end to the long-running dispute between the Welsh Rugby Union (WRU) and four Welsh regions. The domestic deal, between the union and regions, on funding and the release of players for internationals expires this summer. With plans for next season's European competitions agreed, Easterby now hopes a domestic agreement can follow. "The WRU and the regions must now wrap things up," said Easterby. Cardiff Blues, Newport Gwent Dragons, Ospreys and Scarlets operate and are financed under a contract with the WRU called the "participation agreement". The current deal ends on 30 June and talks on a replacement have so far stalled. One of the major hurdles was the row over the future of European competition. Easterby says he is pleased the future of the European game has finally been resolved. "The regions have been putting a lot of work in with the other clubs and provinces throughout Europe and that's put us in a really good footing for the next few years from a financial perspective," said Easterby. Easterby says attention must now turn to end the domestic dispute between the regions and union. "I know the regions are working hard to resolve things," said Easterby. "Hopefully in the next couple of weeks things can also be resolved and we can look forward to a much better future with the union and regions working alongside each other."